Kalinchowk Tour Package | 3800m with a view and no trek ! Kalinchowk Tour Package 2 days 1 night will be the best choice for those who don’t want to do a trek in Nepal but to get good view of the Himalayas at close range. Kalinchowk is at 3800m height. Kuri Village at 3200m is where your hotel located. During winter, this place will be covered with snow. Kalinchowk is the starting point to Everest Base Camp before the Lukla airport was built up and in operation. 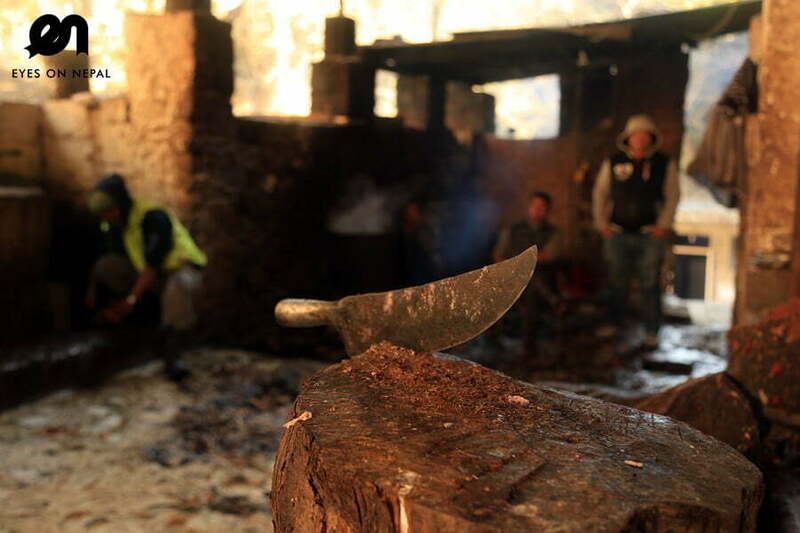 From here, you can trek for 5 days and you will arrive at Lukla. This is the Gaurishankar Conservation Area. Pictures actually can’t tell the beauty.. in real, the sky so blue with no cloud at all, the snow-peaked mountains so big and why so small in pictures.. Featured picture were taken in the month of November, 2017. During the month of December, Jan and February, you will find snow everywhere, famous for snow skiing sports. However, the best time for this amazing view is in the month of Oct, Nov, Feb and March. No need to do trekking if you dont want to, just drive there, you will get this view. 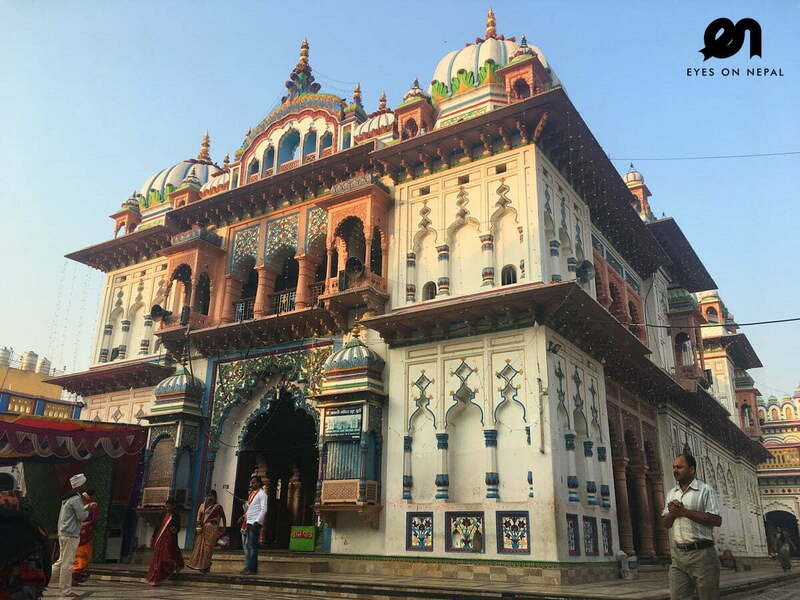 We are selling this 2 days 1 night Kathmandu Kalinchowk Tour Package now. You will stay at the best hotel of Kuri Village – Kalinchowk Country Villa Resort and best room – Deluxe room. 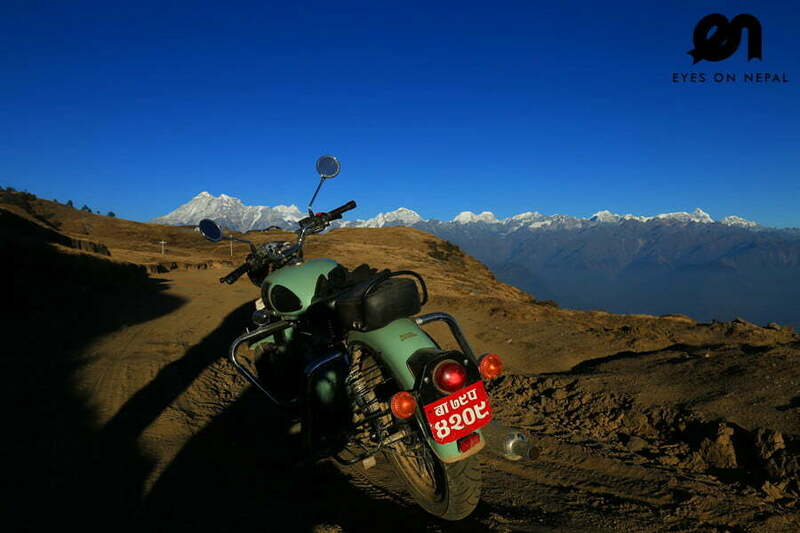 We wrote a blog here – Kathmandu to Kalinchowk | Road Trip on a “Royal Enfield”. Day 1: Kathmandu to Kalinchowk | By 4x4wheel Jeep! Day 2: Kalinchowk to Kathmandu | By 4x4wheel Jeep! 06.00am: Pick up from your hotel in Kathmandu. Depart to Kalinchowk. 149km, 8 hours journey. NOTE: Lunch en route. 03.00pm: Arrive in Kuri Village, check in hotel. 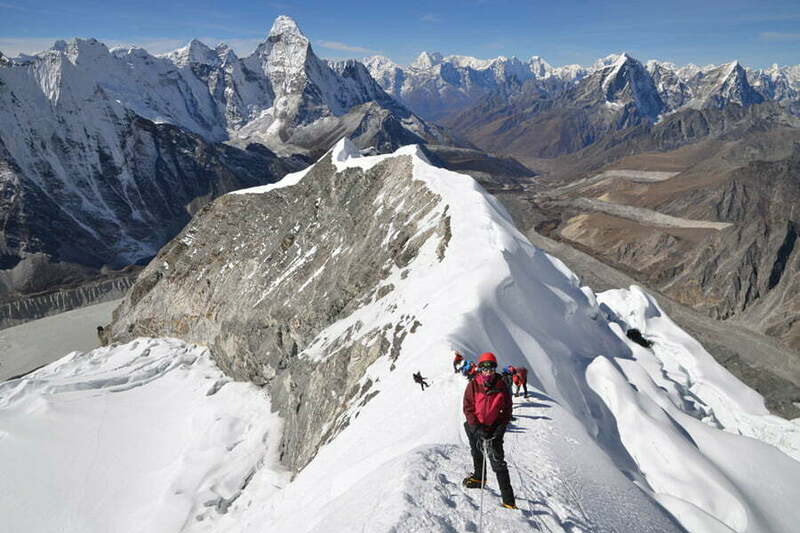 We will climb to Kalinchowk at the height of 3800m for sunset. 05.30pm: Enjoy sunset and we will be back to hotel. 08.00pm: Camp Fire + Dinner at hotel. 04.00am: If you can wake up at 4am, we will go to Kalinchowk for sunrise, or, we will climb up to hills nearby your hotel for amazing snow-peaked mountain view. 10.00am: After breakfast, check out hotel. And we will depart to Kathmandu. NOTE: Lunch en route at own expenses. 06.00pm: Arrive in Kathmandu, tour ends. Travel in a group of 6 person = USD 185 per person. NOTE: Per JEEP can accommodate 7 person including your tour guide. We will travel using Jeep 4×4 wheel on off road. 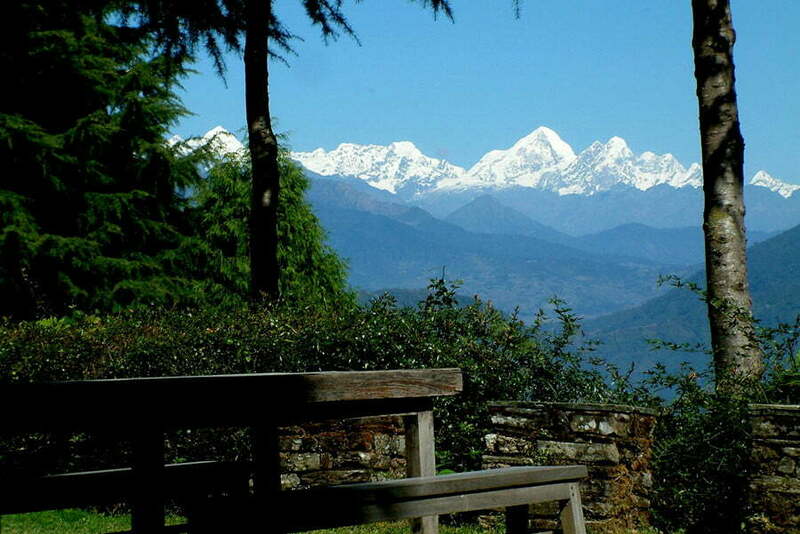 Staying at Kalinchowk best hotel – Kalinchowk Country Villa Resort – Deluxe Room – best room best hotel on location. 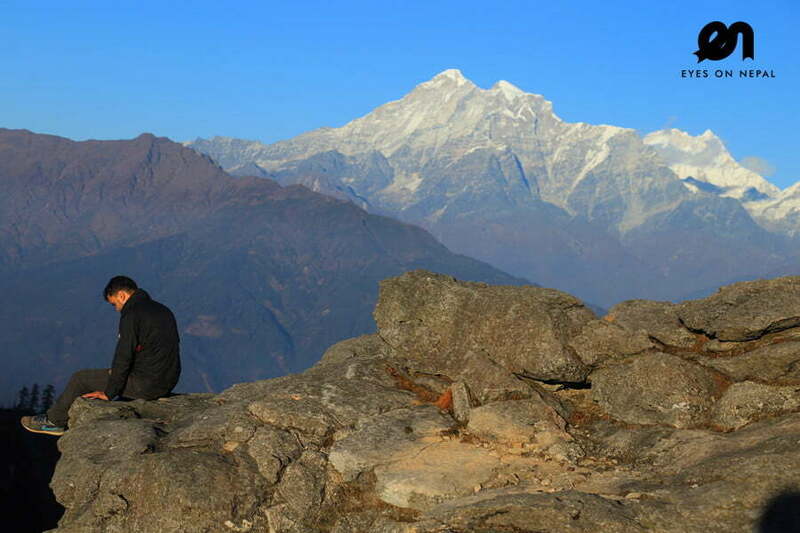 Hiking to Kalinchowk Temple at 3800m for sunset of sunrise with guidance of your guide. Camp Fire with dinner at night. Snow skiing (optional at own expenses). Depend on season.